This move should not come as a surprise. Like Google Analytics (formerly Urchin) and Google Attribution (formerly Adometry), DoubleClick was an acquisition (in 2008), which is worth more to us as marketers as part of a complete suite than by itself. Today the two tools already work together, with native integrations and the ability to push data between the platforms, but we see this emblematic rebrand as a renewed focus on greater unity, eliminating the pain points associated with setup and administration and, ultimately, delivering a better experience to enterprise marketers and analytics professionals that rely on Google products. Combining measurement and media is a natural next-step. New! Display & Video 360 takes features from products: DoubleClick Bid Manager, Campaign Manager, Studio and Audience Center. Pricing of most 360-products is volume based but it is unclear if any “Family Plan” discounts will be available for using more products in the Suite. A la carte product purchasing is unclear, although companies are currently able to buy other Suite products, like Optimize 360, without buying the rest of the stack. One would imagine Google has great interest in keeping its ad platforms open to anyone with a buck and a dream. Pricing same challenges, unclear how this product will be priced. A la carte product purchasing is unclear, although we hope that this will be offered. A few other, big announcements also came out at the same time. Google AdWords also gets a facelift, now known as Google Ads, to better represent the full range of advertising capabilities. Additionally, DoubleClick for Publishers and DoubleClick Ad Exchange have been combined and rebranded as Google Ad Manager, a complete and unified programmatic platform. At the Google Marketing Live event on July 10, Google announced a number of exciting features and product announcements, all of which fit under the new product and platform names. Cross-Device Reporting in Google Analytics connecting logged-in Google users. Simpler, smarter campaigns for Google Ads users, including hotels and small businesses. Google Marketing Platform and the Display & Video 360 products will roll out in the next few weeks (July/August 2018). Google Measurement Partner program announced that natively integrates with 23 third-party vendors for ad verification services. The news is sure to cause a lot of banter and speculation in nerdy analytics communities around the world. In response to that, I say, “Why should they have all the fun?” I asked Alex Moore, VP of Analytics & Insight (A&I) at Bounteous (and the biggest data nerd I know), to share his perspective on common questions. How Does This Affect The Analytics Industry? In short, it only enhances our superpowers while providing more value to our clients. At Bounteous, we know a few things about working better, together, as we’ve bolstered our services and team since being acquired back in 2017. We’ve always prided ourselves in our ability to help our clients realize the benefits of combined services. We have an incredible Digital Marketing Strategy (DMS) practice, a team of DoubleClick certified professionals that already spends its day at the intersection of media and analytics. We partner with our clients to craft advertising strategies and deploy campaigns in DoubleClick and other platforms. 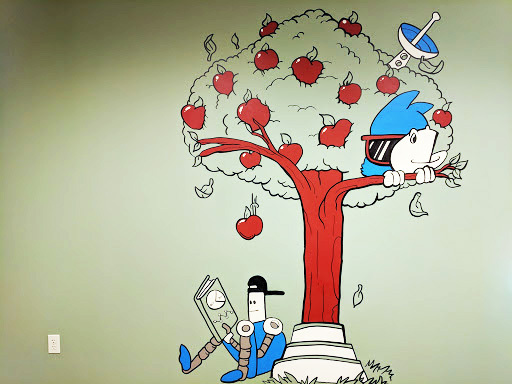 Obviously, the metaphorical apple doesn’t fall far from the tree. Analytics is at the core of everything we do and we have always had a dedication to data. Every consultant at Bounteous, regardless of their area of expertise, is certified in Google Analytics. In the DMS practice, we use Google Analytics as a foundation of our digital media measurement: setting baselines, predicting performance, and influencing budgets. For A&I, much of their role is about data activation to help inform a client’s marketing decisions. It should excite us as marketers to talk about media and analytics as one theme and, if nothing else, spend less time doing manual data imports. Does This Change Who “Owns” Analytics? The rebrand of DoubleClick and the 360 Suite should not cause change but it might inspire change. There is an opportunity to unite teams across traditional CTO-CMO lines. Technical teams will have greater access to marketing channels and influence over revenue-generating campaigns. Meanwhile, marketers will face fewer limitations. Consider how Google Tag Manager and Google Optimize have reduced technical hurdles and placed power in the hands of the marketer. We should expect those trends to continue inside of the Google Marketing Platform. Let’s hope that the days of organizational absolute power dynamics, where one team has sole ownership of one piece of the business process, are behind us, and technology fosters collaboration instead of chess moves — mostly because my chess game is lacking these days. We see this relationship struggle often at Bounteous, where our consultants often play the role of a marriage counselor to help teams reach consensus. Lots of parallels: listening, asking “How does that make you feel?” and encouraging them to realize what they truly love about each other. We thought “Strategy Day” sounded better, but it’s really the same concept. Get in a room and agree on a path forward for all parties. Jon Meck, our marketing director, talked about this exact concept recently at Marketing Evolution Experience conference and how success with Attribution is mostly cultural and a little bit technical. You can check out the slides from his presentation: Attribution? Your Company Isn’t Ready for Attribution. Does This Change Things for Current GA360 Customers? Some remains to be seen but — definitely not trying to be a Google fanboy here — it’s hard to see how this would hurt marketers or Google’s enterprise 360-Suite clients. Compare it to the integrations we have seen with AdWords or newer 360-Suite arrivals, like Optimize 360, that share data between platforms to make both better. The need for stronger, unified marketing data is only getting more urgent. It will be exciting to see how the Platform continues to expand beyond Google products. Integrations like Salesforce, announced in November 2017, come to mind. Again, looking back to the GA 360 announcement in 2016, expansion through Google products and integrations remains consistent. The Google Marketing Platform announced a new component, Integration Center, to make it easier to set up connections between products. Will This Make Administration Easier? 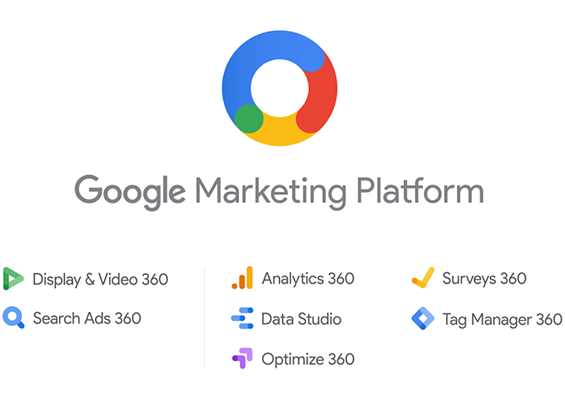 We hope this announcement leads to expanded capabilities inside the 360 Suite Home, or perhaps now called the Google Marketing Platform Home, that includes the broader marketing toolset. Fewer accounts and permission assignments would be a huge win for anyone who has had to ask, “Who is this person from an agency we used in 2009 and why do they still have admin access to our accounts? !” Similarly, if you’ve ever onboarded a large team of employees across multiple products, you’ll likely breathe a sigh of relief when these changes start rolling out. We envision the Suite Home have far greater influence in the future. Now we wait. And dream. And pray to our Google gods (or partner reps) for next steps. Hopefully, the rebranding and administration changes are only the beginning. We look forward to seeing how the family of tools can work together even more efficiently than it did in the past. The biggest benefactors of this transition may very well be newcomers to the industry, the next generation of marketers. Imagine starting your career without a printed list of acronyms: DCM, DFP, DBM, DS, etc. Imagine a true suite of tools that works together, instead of a random collection of self-service tools with their own metrics, their own data. Then there are the new enterprise clients, who realize that the greatest value comes from how the platforms are connected, instead of ad hoc expectations and implementations. For those of us in the industry who have worked to gain mastery of the tools, we’ll likely remain cautiously optimistic, quietly enthusiastic that this move aligns with what we’ve been saying for years: a solid foundation in analytics is a necessary first step to any marketing or media activity that follows.